Lament: The Faerie Queen's Deception by Maggie Stiefvater is a young adult (YA) fantasy book. I don't usually read YA, however after reading Christine's review for this book at "The happily ever after..." I thought this would be a book I might recommend to my niece, but one I should read first. Later when Tracy posted her own review at "Tracy's Place," I remembered it was already on my list and that I should get to it. Tracy was also generous enough to send me the book and finally this month, I read it -- thank you Tracy! Sixteen-year-old Deirdre Monaghan is a painfully shy but prodigiously gifted musician. She's about to find out she's also a cloverhand—one who can see faeries. When a mysterious boy enters her ordinary suburban life, seemingly out of nowhere, Deirdre finds herself infatuated. Trouble is, the enigmatic and conflicted Luke turns out to be a gallowglass—a soulless faerie assassin—and Deirdre is meant to be his next mark. Deirdre has to decide if Luke's feelings towards her are real, or only a way to lure her deeper into the world of Faerie. 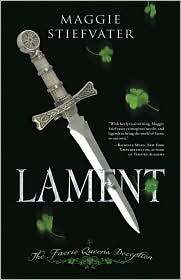 In Lament: The Faerie Queen's Deception, Maggie Steifvater uses Celtic Faerie mythology to weave her fantasy world while keeping the setting strictly in contemporary times. Through Stiefvater's beautiful and engaging writing, the reader experiences this creative mythical atmosphere while enjoying contemporary characters, dialogue and events. I more than enjoyed the beautiful way she mixed and balanced both. I particularly loved the lyrical/poetic ballads she included as part of the story. Deidre, a gifted but typical 16 year old teenager full of fears she must conquer, some overtime hormones coupled with romantic idealism and a certain rebellious streak, is the focus of the story with Luke, the dark hero, sharing that focus. Their adventure was a dark one as they battle the Faerie Queen and some rather cold and scary characters that are as fascinating as the atmosphere set by the writer. Being that this book is set in contemporary times, I did wonder how or why Deidre decided to go along with Luke while having reservations about him. I questioned her judgment during those times and had to suspend disbelief to continue reading their adventures. One of my favorite characters was James, Deidre's best friend, and I wish he'd had more page time. I had really mixed feelings about the book and could only give it a "good". I just didn't like Deidre all that much and she more or less put me off the story. I've recently read this novel and I kinda like it. I think it was because of the lyrical part that kept me going. The author's description of the scenery and the emotional state of the main characters were vivid I felt I was on the stage with them like a silent breeze whirling around them. I agree that there several unanswered parts which I think all will be answered on the next book. And for the most part I have grown to like D. Mostly because of her independence from her parents and her cool abilities. I'd love to hear her play too! Okey maybe I just like the author's persuassion and easy to read novel. Man! I had to return this to the library before I got to it. I've got to check it out again. I love stories about the fae, and Maggie Stiefvater's Linger was awesome. Renee, if you like the Fae and Stiefvater's writing, you'll enjoy this book. I'd like to read your thoughts on it. 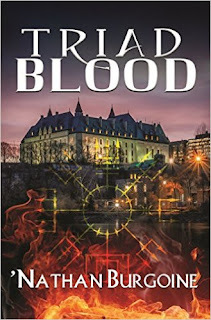 I'm not sure about this book....I like the Fae, but then I'm a huge fan of Melissa Marr's series and think every book would pale in comparison. I have Shiver on my TBR list, so I think I'll start with that book. Thank you Hils!